Widowed fifty-something Emily isn’t interested in dating again, no matter how much her daughter and friends try to persuade her. At a recent book club held at her home, Emily tries to smoke her guests out when she lights the fire in her living-room. Something is causing an obstruction in her chimney. Looking up ‘Chimney Sweeps’ she comes across a company ‘Up Yours’ and on the name alone decides to hire them. She’s in for a surprise though when twenty-something Joe turns up. He’s rather hunky and starts something stirring inside her. The feeling it would seem is mutual and it ends up being more than just her chimney being seen to! How will Emily cope with a man half her age? 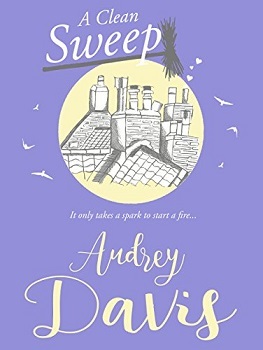 A Clean Sweep is an entertaining book that follows the life of ordinary Emily, her book club friends, her sister Celeste and her daughter Tabitha, who is having a relationship crisis of her own. The book is filled with plenty of euphemisms and one-liners and is very amusing from the first page to the last. It also has a brilliant plot that you can delve right in to. There were quite a lot of characters all with their own life problems which interweave themselves into the main plot. They were all a delight to get to know and their stories were all a pleasure to read. This is a book about an ordinary woman, with ordinary friends set in London. It is light-hearted and would be a perfect beach read, something to keep you amused whilst lolling in the sun. What I always think when I heard of a chimney sweep. Sounds like a cute and fun read – like you said, perfect for a summer’s day! You’re welcome. I hope you get to read it sometime. like the sound of this book. I agree that it sounds like the perfect relaxation read. 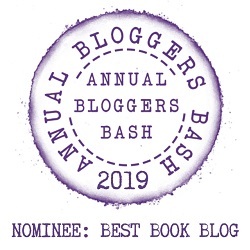 Great review, I’ve been seeing this book around quite a lot recently and it looks and sounds like a cute and fun book. I’m glad you enjoy it I also love the cute cover as well, thank you so much for sharing your awesome post. Thank you. Agree the cover is cute. This sounds cute book! I love books with book clubs as a part of the story. Great review! Thank you. I’ve read a few with book clubs in them. Sounds like a fun read. I love to mix up my reading with some light reads occasionally. This sounds like the perfect summer read to accompany me on my trip to the beach this year. Great, I hope you get to read it on your holiday. I live for this cover and the entire theme of this story! This seems like How Stella Got Her Groove back and kept it. I like how you’ve worded it.